As we near half term (and not a moment too soon!) the time has come to report back and evaluate how the four QCA Spanish units I've used have gone. First up is Unit 5 Los Cuatro Amigos which I used with Year 3. It's based around the story of four animal friends (hence the title) who find an apple tree and have to work together to reach and eat the lovely red apple that hangs on it. You can download the unit from the QCA site and below is the medium term planning that goes with the QCA document. any words you think you might recognise? how? what do you think this might mean? Then we picked out the words for the animals and added actions suggested by the pupils whilst looking at flashcards (on the IWB and laminated ones!) - again, thanks to another kind on a forum. I 'd modified them slightly to be double sided with just the image on one side and the word (colour coded by gender) and image on the other side. 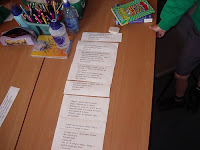 The lesson continued with pupils showing their understanding through using the actions as we once more read the story. Already, the class were wanting to join in - especially with the ¡Pom, pom, pom! and ¡Yupí! sections! To finish off, I'd prepared a simple worksheet with copying and drawing activities based on the new vocabulary. The next lesson started with a recap of the story, using the actions once more to show understanding. As we reviewed the animal vocabulary, we discussed the grapheme / phoneme links for ll, j and z and tried to think of other Spanish words that included them - lots of colours and people's names were suggested. Then, as suggested in the QCA document, we looked at the word galopa and picked out the other action words, using the pupils' knowledge of sentence structure etc from their own language,their ability to pick out cognates and their understanding of how animals move! They were a bit puzzled by how sheep move but a bit of acting soon helped them catch on to running. We then used a flipchart to link words and pictures, guess the hidden animal / word etc. Lesson 3 we revised colours - lots of pupils recalled these well, but many of the ones they remembered weren't featured in the story eg azul, verde, amarillo. We looked for items of that colour in the room, played 'Búscame algo .....' and then focussed on the story with questions about the colour of the apple and animals. WE did the suggested Hoop game making a Venn diagram with two hoops and putting words from the text into the hoops, their position dependent o n whether they contain 'e' or 'i' sound - if both, they went in the intersecting area. 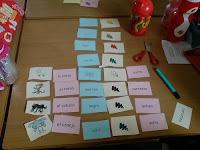 We used the same cards then to make phrases about the animals' movement - eg el caballo + galopa. Then once we had successfully done this, I asked the pupils to make phrases including colours. This was intially less successful as several pupils used English word order ie gris + el caballo + galopa (adjective noun verb) rather than el caballo + gris + galopa (noun adjective verb). However, once I drew them back to the text, they remembered last year when they all told me about word order being 'odd' in Spanish. The next language focus was on how to make a sentence negative. Asking questions like ¿Un caballo galopa?, ¿Un ratón salta?, I modelled answers including sí and no and the more confident worked out how to reply in a phrase rather than by using gesture (thumbs up or down) or a single word. We wrote all the animal names and actions on mini whiteboards (allowing spelling practice too) then added some with sí and no, and made human sentences. I asked the question, we answered as a class and then the boards got in the right order. As confidence grew, we asked the question as a class and pupils with boards got up and ordered themselves depending on what the answer should be. And then we added additional vocabulary items, explained through mime such as baila - dances or canta - sings. This led to a riotous game of charades! The next week I departed from the QCA a little and planned to do a listen an order exercise with pupils listening to the story and putting cards into order according to what they heard. However, 3AB had other ideas and wanted to do it themselves. So I gave them the cards of cut up text and off they set, trying to put it into order. Some were more successful than others and but I was pleased to be able to discuss with pupils what they were doing, how they had a rrived at their answers and also how they might review the order by looking at certain words. After 10 minutes, I read the story and the groups checked their order, making adjustments as necessary. With the small group, we used the 4 hoops, each with an animal card in it. I called a phoneme eg 'a' and pupils had to stand in the hoop that contained a word with that phoneme eg la oveja / el caballo. With the whole class, we stuck them on the walls and walked (very important as we were in the classroom!) to stand near to the appropriate word. Pupils soon worked out that there was more than one answer possible and we went on to suggest other words containing the same phoneme. We finished off the topic with another retelling of the story - this time with no pictures - with each table representing one of the animals or the apple. When their animal / apple was mentioned in the text, they had to stand up, and everyone stood up for the apple tree. This was a good test of listening as the word for apple - la manzana and the word for the apple tree - el manzano are very similar. I consider that the topic has been quite successful - the pupils have enjoyed it and can more accurately identify phoneme - grapheme links thus aiding their pronunciation - and are now self correcting and helping each other with new words. At the start of lesson3 or 4, I asked pupils how many words they could remember from the story and we made a list that filled the whiteboard of words, phrases and whole sentences - and they could spell most of them, and say what they meant. Phrases such as 'Sí, ya voy' and ¿Quién es? are readily recalled now and can be used in classroom situations. After half term, I teach the other year3 class and will repeat many of the same activities, but will probably add some different ones too, and perhaps explore some further ideas from the QCA document. I've put some of the resources in the post and any others I'll put in my Box of Goodies (right) and /or on .DocStoc. I've acknowledged materials that do not originate from me - thank you to the kind people who shared. Free access to Encyclopaedia Britannica! If you are a blogger, website manager or writer, you can now have free access to the online version of the Encyclopaedia Britannica. It’s a rich trove of reliable and high-quality information that you can use to check quick facts, research topics in depth, or just read to enjoy. Britannica covers a wide range of topics with thousands of articles and multimedia features. They’re relevant and useful, and we’d like more people to be able to take advantage of them. You get complimentary access to the Encyclopædia Britannica online and, if you like, an easy way to give your readers background on the topics you write about with links to complete Britannica articles. I think this is a good alternative to Wikipedia for online searching, perhaps a little more reliable and factually accurate? Thanks to @dannynic who pointed me in this direction. As you know if you read a previous post, I am strangely fascinated by the Eurovision Song Contest. It's mainly to do with Terry Wogan's irreverent commentary and the hilarious subtitle bloopers that occur on Ceefax when they instant-translate the hosts speaking rather than the singing which is often dire. 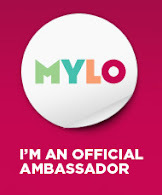 However, I can't let the occasion pass with out celebration so I was really pleased when Jo Rhys-Jones began a new NING network - The Alternative Eurovision Contest for Schools. Whitehouse Common have chosen to represent ... you've guessed it ... Spain! We've completed the first task - placing our flag on the Frappr map and are now working on task 2 - a promotional video showing the best of Spain. Plenty of images from which to choose there! 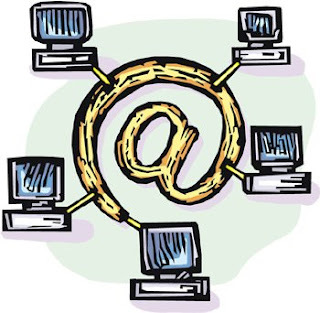 How many of you knew that today is El Día Internacional de Internet / the International Day of the Internet? 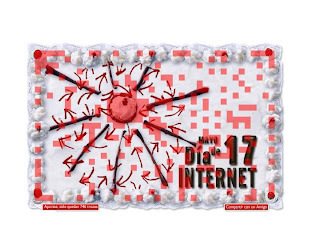 Or that this week is Semana de Internet / Internet Week? I certainly didn't until this morning when I checked BBC Mundo in my Google Reader. The article goes on to say that whilst technology in places like Chile is more advanced than in some European countries, many users don't fully appreciate the benefits of being online. "Tenemos el mismo nivel que Europa", explica Menchaca (el director de Comunicación Digital de la Universidad UNIACC de Chile, quién durante una década lideró proyectos interactivos en España) "pero hay más necesidad de ser creativos". "El problema en América Latina es que internet es aún una plataforma para estar y no es visto como una herramienta de servicios, pero creo que los latinoamericanos podrían convertirse en desarrolladores de contenidos para todo el mundo." Universidad UNIACC de Chile has begun a new course linking design, marketing, technology etc together in a more 'joined up' way than previously to prepare people to change this view. Follow the link in the article or this one. Click on the piece of cake you'd like. Leave your name, country, town and a message. You will be emailed your slice of cake and your picture will appear on your part of the main cake. Why not join in? There were 746 pieces left when I wrote this. Today when I checked my Google Reader there were two articles , one about news reports from Spain and the other about a new feature of Google Maps which excited me! So I'm now off to do some virtual sightseeing before I really go to Spain next week. (click on the map to make it bigger or go to here. Whenever I switch on my laptop or log on to my area of our home PC, I am greeted by my iGoogle page. This contains my Google Reader, my Yahoo mail, a calendar, calculator, the weather forecast and time for Birmingham and Madrid and the headlines from BBC news and CILT as well as more frivolous things like Penguins and Shakespearean Insults. I've also got widgets called Quote of the Day and How to of the Day which offer both amusement and food for thought. Other useful tips offered on the site include all sorts of cheats and hacks, helpful household tips (personal favourite - how to fold a Towel Elephant) and more wacky suggestions such as Turn an old TV into a fishtank. Launder and iron the fabrics to be used. Measure the laptop to be carried. The author used a Cardboard Laptop Case as a guide for size. Measure all the way around the laptop, from the hinge side to the opening, and then back to the hinge, not just the top. This will be the length of the fabric. Then measure the width of the laptop plus each side. This will be the width of the fabric. Cut two layers of cloth: One layer large enough to cover the laptop all the way around, PLUS an inch (2.5 cm) in every direction, and the other layer half an inch (1 cm) larger than the first all around. One will be the outside and the other will be the lining. They can be the same colors or different, coordinating colors. If the outside layer is a durable water-resistant kind of fabric, so much the better. Cut two thicknesses of quilt batting the size of your smaller (inner) piece of material. Cut a layer of interfacing material the size of the smaller (inner) piece of material. Sew the sides of the outer layer of material, leaving the top open. Sew the tips of the miters to the seam line. Turn "right side" out and test fit. Layer the interfacing, batting, and inner material. Quilt the three layers together by hand or by machine. Sew the sides of the quilted layer, leaving the top edge open. Clip the batting and interfacing close to the seam. Miter the corners, sewing the mitered tips to the seam line. Test fit by sliding your laptop (or box) into the inner layer and then into the outer layer. Make any necessary adjustments for proper fit at this point. Clip the outer layer two inches (5 cm) from the edge of the inner layer. Sew the layers together along the inside, lower edge of the rolled/folded outer edge. Cut 4-5 inch (10-13 cm) wide strips for your handles. Make them of a length that is pleasing and comfortable for you (12 inches or 30 cm for a short handle, 24+ inches or 70+ cm for a shoulder strap). Fold and iron the handle strips. Top stitch the strips to hold their shape. Measure the top of your bag and divide by 3. Mark the thirds with pins. Place your handle ends just outside the pins along the edge. Pin the handles in place. Fold the raw ends of the handles under themselves. There's a much cleaner way to do this which will hide the attachment of the straps and the raw edge/seam of the inner/outer layer. When sewing the lining leave a hole in the bottom. Then sew the handle to the lining with right side facing in. To assemble, flip lining right side out with strap/handle on the inside. Put exterior shell inside lining, also with right side out. Sew seam around the top connecting the inside and straps of the bag to the exterior shell. What you'll have now is a tote with the lining on the outside (right side out), the exterior on the inside (looking down in to the tote you'll see the wrong side of the exterior fabric), and the strapped sandwhiched between the two. So, how do you get it to look like a tote? Remeber the hole you left in the lining? Reach in that hole and grab the strap or exterior fabric and pull it through. That will put the strap and the exterior fabric on the outside (right side out) and the lining on the inside (right side showing). You'll have to machine sew or hand sew the hole shut in the bottom of the lining. It doesn't matter if it's not perfect because that seam will be on the inside of the bag. If you use batting or foam rubber to reenforce the bag keep that in mind when you're leaving the hole in the bottom of the lining. You'll have to pull that bulk through to complete the bag. There is really no right or wrong size for the 'pull through' hole. It just depends on the project and materials being used. This can be done by hand, but is best sewn on a machine. This can be done without padding; see How to Make a Tote Bag. This works very well coordinated with the cardboard laptop carrier's inner layer and adding this project as the outer layer for greater stability with a 'finished' look. Depending on the amount of padding you use, this laptop bag may not be as protective as some store bought alternatives. Use appropriate care when handling scissors and needles. Two yards of material. May be a yard each of different materials if desired. One yard of interfacing material or similar, thin fabric. Article provided by wikiHow, a collaborative writing project to build the world's largest, highest quality how-to manual. Please edit this article and find author credits at the original wikiHow article on How to Make a Laptop Tote Bag. All content on wikiHow can be shared under a Creative Commons license. Further to my last post, Joe Dale asked me to repeat the section of the Access Network Flashmeeting concerning the use of puppets so that he could record it and publish it on his blog. And, as an added extra, here are some pictures of my puppets - there are more on my Flickr puppets set (see stream on left). Thanks to my helpers (amazing what the promise of a Euro point can do!) who you can also see in modelling action in the clip below! On a very hot afternoon six of us met on Flashmeeting with David sharing about using GoogleEarth and also about ScotsEduBlogs. David is much more advanced in his Flashmeeting skills than me and managed to post his URLs using the URL button so they popped up for us - I managed to forget about this facility until too late, and posted any that I used in the chat. I hope that my contribution was helpful - I learned plenty from the part of David's talk that I caught. I quoted some of these sites in the meeting but I'll repeat them anyway! Have a look a the post I wrote last week about my talk at Beaumanor Hall for teachers of pupils with SEN in special and mainstream schools - there are several useful links including to the project at Sackville School run by Anne Jakins I mentioned and to a few projects/ideas I mentioned. You can also find the links to the outcomes of Whitehouse Common's project with Spain. There are other posts on eTwinning on my blog - use the search feature on the right- perhaps you'd be interested in this one as well. As I sat poking people on Facebook - as I am prone to do as a form of stress release - I was inspired to blog. Not a normal occurence admittedly, being inspired to do anything serious on FB but this time the poke was the catalyst. decided to do some research - and it's nothing to do with dancing sheep! and goes on to point out that it is not Mexican Independence Day as this falls on September 16th. It seems that the day, celebrated with music, dance and food (as all good fiestas should be), is mainly celebrated by Mexicans living in America, and that it is really only celebrated within Mexico in the Puebla region where the battle was fought. As I was looking for information,I came across a number of interesting web sites that teach more about the origins and celebration of Cinco de Mayo. Kaboose has a number of craft activities (such as making a taco or Mexican sombrero), recipes and printables (such as colouring pages and wordsearches) for the day as well as a history section. 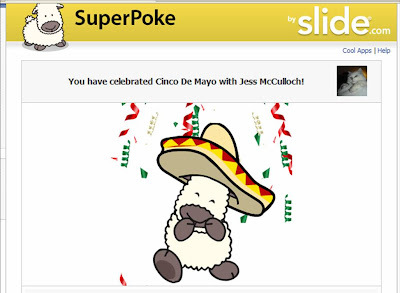 Then I came across a lovely site with a really accessible webquest about Cinco de Mayo, perfect for dipping in and choosing bits that you fancy using. It offers lots of links - most of them seem to be active (sometimes a pitfall I find with webquests I discover is that the links are dead ends which is really frustrating) I also like the student rubric outlining what is expected of a good group member, and how group work will be graded - something to consider for next collaborative topic I set perhaps. There are even teachers notes - as they say, the webquest / topic is designed to last several weeks so it would be a case of picking and choosing!! And then there's the 42explore site where there are loads of links to other sites - unfortunately, several of the ones I tested were dead, but you can learn how to make a piñata, or a poncho, or go on a shorter webquest to make an information book about Cinco de Mayo. And at the bottom of the page, there is a short interactive glossary of words related to the festival. Finally, a traditional folkdance from West SaintPaul, Minnesota. ¡Feliz Cinco de Mayo a todos! I'm currently experimenting with various Spanish units from the new QCA SoW for KS2. I'm using Unit 5 Los cuatro amigos with Year 3, El carnaval de los animales (Unit 11) with Year 4, Year 5 are doing Unit 14 Yo soy músico and Year 6 are looking forward to some café acting with Unit 23, Poner una cafetería. I'll report more fully when the units are completed as to how good, bad or indifferent I found them etc, but as a taster, I thought I'd share a snippet! Hot off the press, here are Year 5 singing 'Somos músicos' with great gusto. Whilst searching for suitable clipart for the previous post, I came across some quirky flamenco / sevillanas related videos that I thought deserved a post of their own! A woman dressed in sevillanas dress is a classic image that means Spain to so many - I'm sure there are at least 25 little girls at school who have a sevillanas outfit (they wore them on EDL day!!) As part of their Spanish lessons, I think it's important that pupils learn more than the language. They are very curious about life in Spain and particularly fascinated by anything that is different to England. We've had a go at flamenco 'palmadas' before - a challenge when the class find clapping a regular rhythm hard - and certain classes enjoy watching me demonstrate the first compás of sevillanas - probably as I end up dizzy! There are many videos of 'real' flamenco but I can't wait to get back to school to show these little videos as I know they will appeal to this curiosity as well as their sense of humour! Firstly, a simple animation using the image of the sevillanas dress. The second is a clay stop-motion animation - not sure I could do that, but could have a go! 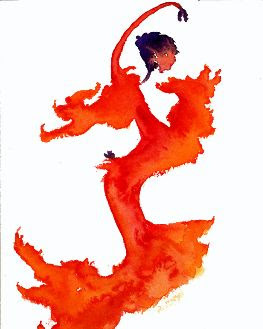 And the final one, my favourite - a flamenco dancing frog! What could be better, eh? Today I received an email from the Ministerio de Educación y Ciencias about a record breaking attempt at the largest ever flamenco display. Here's the message! So, if you're at a loose end, fancy a trip to London and have a bit of angst to express, why not join in?